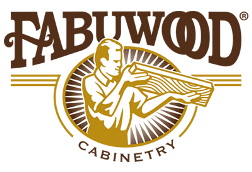 We are New England's premier Fabuwood Cabinet dealer. 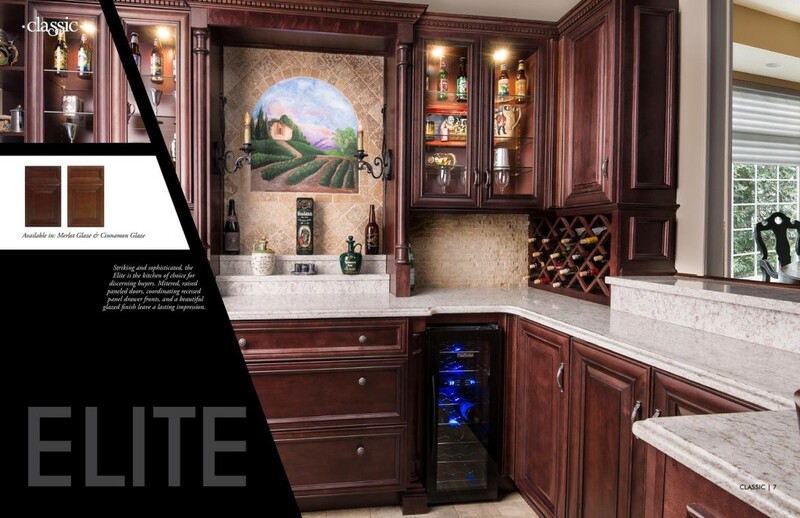 View their cabinetry line below & call or visit us today to design your home's kitchen. 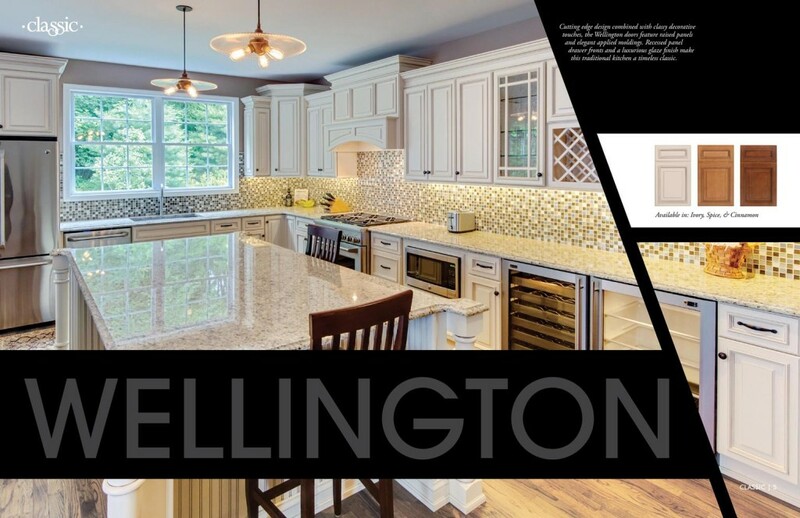 Wellington – Cutting edge design combined with classy decorative touches, the Wellington doors feature raised panels and elegant applied moldings. Recessed panel drawer fronts and a luxurious glaze finish make this traditional kitchen a timeless classic. Elite – Striking and sophisticated, the Elite is the kitchen of choice for discerning buyers. Mitered, raised paneled doors, coordinating recessed panel drawer fronts, and a beautiful glazed finish leave a lasting impression. 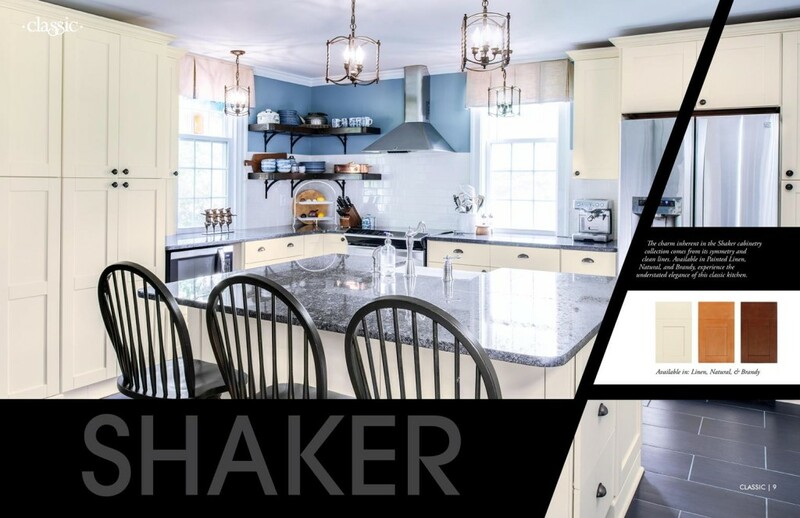 Shaker – The charm inherent in the Shaker cabinetry collection comes from its symmetry and clean lines. Available in Brandy, Natural, and Painted Linen, experience the understated elegance of this classic kitchen. 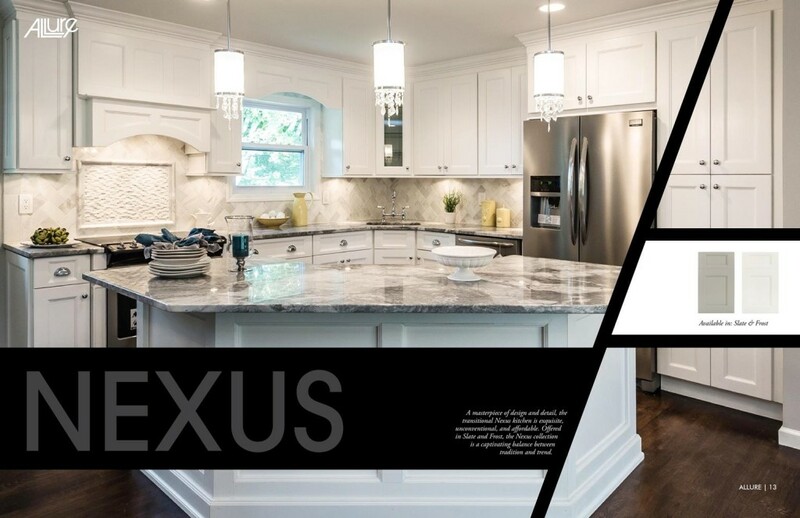 Nexus – A masterpiece of design and detail, the transitional Nexus kitchen is exquisite, unconventional, and affordable. Offered in Frost and Slate, the Nexus collection is a captivating balance between tradition and trend. 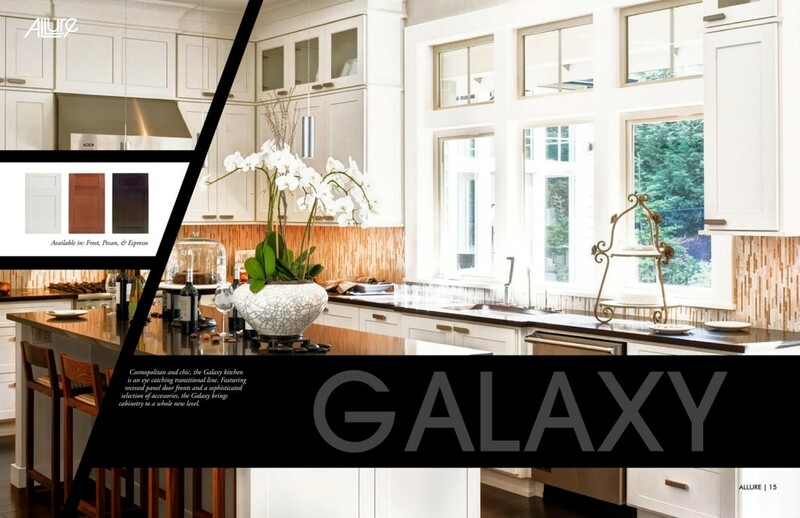 Galaxy – A masterpiece of design and detail, the transitional Galaxy kitchen is exquisite, unconventional, and affordable. Offered in Frost, Pecan and Espresso, the Galaxy collection is a captivating balance between tradition and trend. 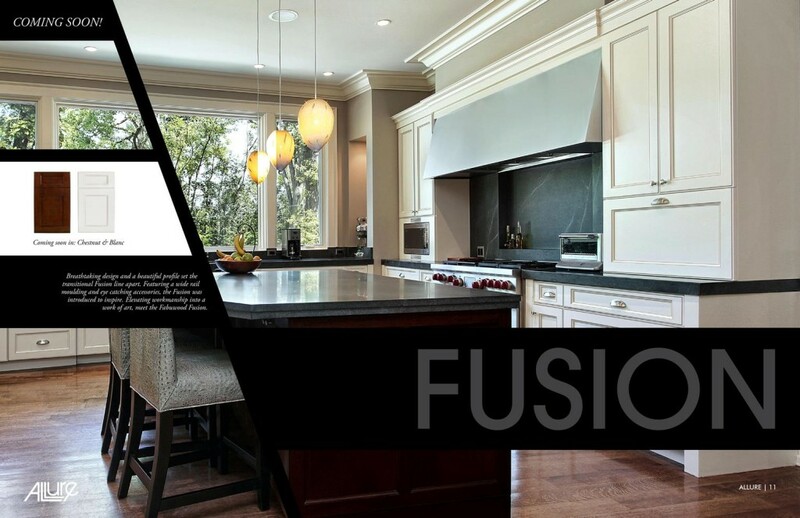 Fusion – A masterpiece of design and detail, the transitional Fusion kitchen is exquisite, unconventional, and affordable. Offered in Blanc and Chestnut, the Fusion collection is a captivating balance between tradition and trend. 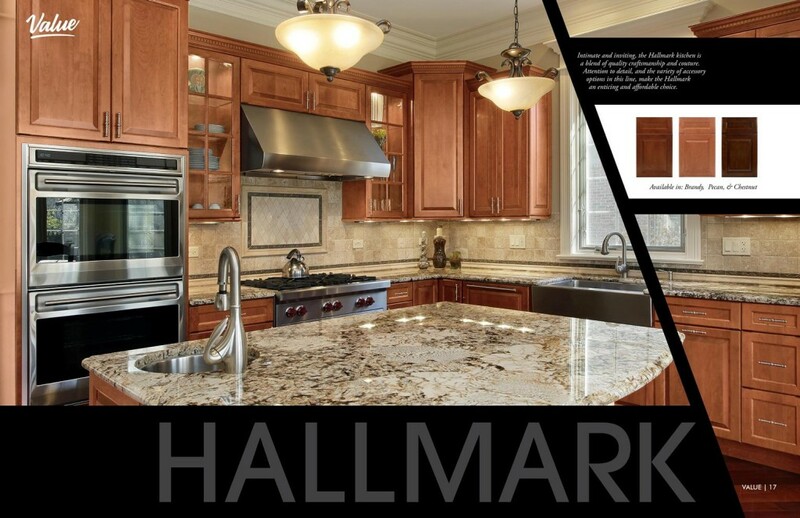 Hallmark – Intimate and inviting, the Hallmark kitchen is a blend of quality craftsmanship and couture. Attention to detail, and the variety of accessory options in this line, make the Hallmark an enticing and affordable choice. 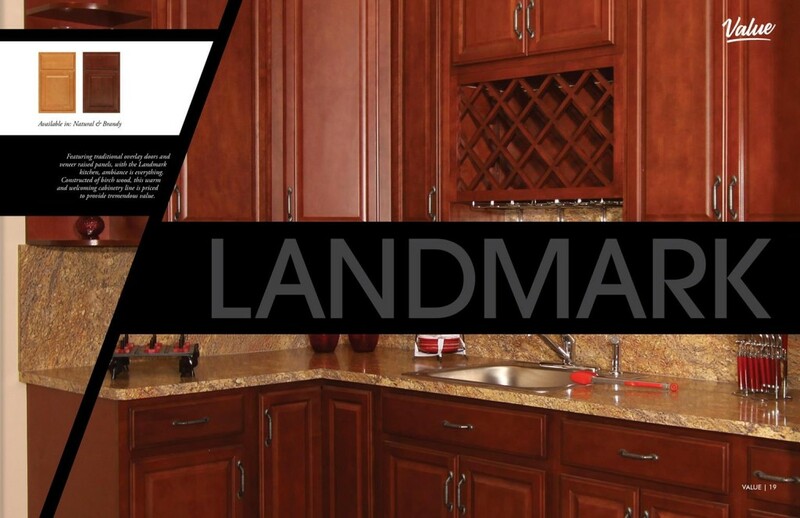 Landmark – Featuring traditional overlay doors and veneer raised panels, with the Landmark kitchen, ambiance is everything. Constructed of birch wood, this warm and welcoming cabinetry line is priced to provide tremendous value. 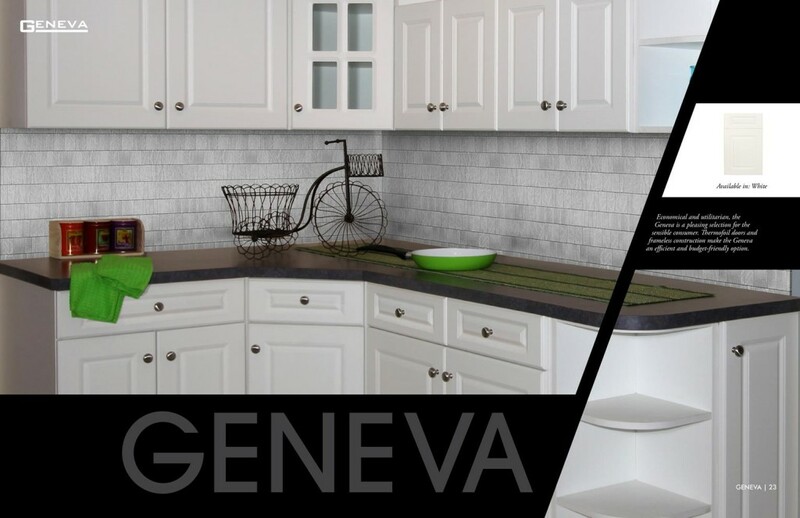 Geneva – Economical and utilitarian, the Geneva is a pleasing selection for the sensible consumer. Thermofoil doors and frameless construction make the Geneva an efficient and budget friendly option. 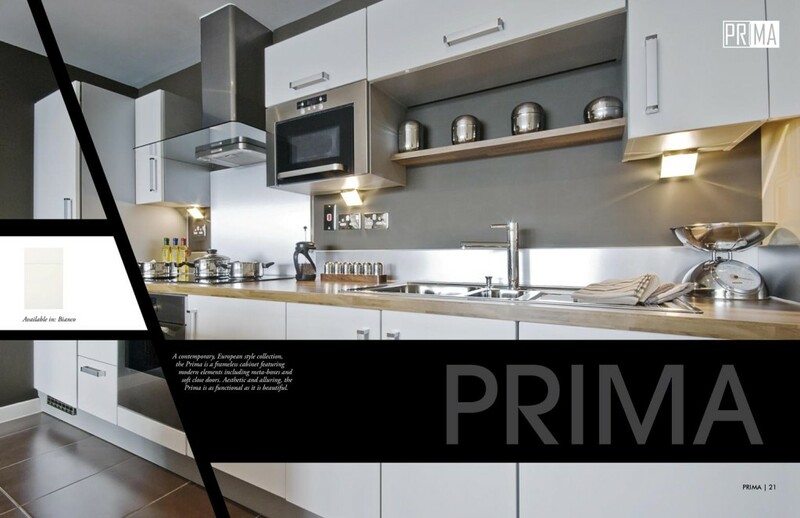 Prima – A contemporary, European style collection, the Prima is a frameless cabinet featuring modern elements including meta-boxes and soft close doors. Aesthetic and alluring, the Prima is as functional as it is beautiful.